February 5, 2010: For some years now, an unorthodox idea has been gaining favor among astronomers. It contradicts old teachings and unsettles thoughtful observers, especially climatologists. "The sun," explains Lika Guhathakurta of NASA headquarters in Washington DC, "is a variable star." That's only a limitation of the human eye. Modern telescopes and spacecraft have penetrated the sun's blinding glare and found a maelstrom of unpredictable turmoil. 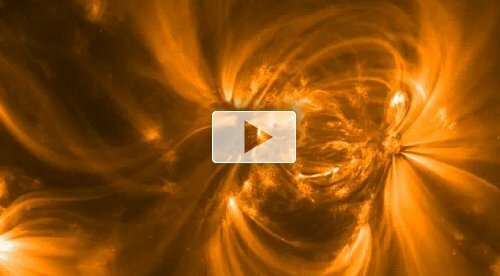 Solar flares explode with the power of a billion atomic bombs. Clouds of magnetized gas (CMEs) big enough to swallow planets break away from the stellar surface. Holes in the sun's atmosphere spew million mile-per-hour gusts of solar wind. And those are the things that can happen in just one day. Over longer periods of decades to centuries, solar activity waxes and wanes with a complex rhythm that researchers are still sorting out. The most famous "beat" is the 11-year sunspot cycle, described in many texts as a regular, clockwork process. In fact, it seems to have a mind of its own. "It's not even 11 years," says Guhathakurtha. "The cycle ranges in length from 9 to 12 years. Some cycles are intense, with many sunspots and solar flares; others are mild, with relatively little solar activity. In the 17th century, during a period called the 'Maunder Minimum,' the cycle appeared to stop altogether for about 70 years and no one knows why." There is no need to go so far back in time, however, to find an example of the cycle's unpredictability. Right now the sun is climbing out of a century-class solar minimum that almost no one anticipated. 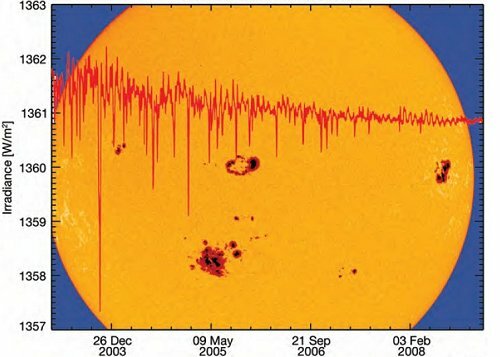 "The depth of the solar minimum in 2008-2009 really took us by surprise," says sunspot expert David Hathaway of the Marshall Space Flight Center in Huntsville, Alabama. "It highlights how far we still have to go to successfully forecast solar activity." That's a problem, because human society is increasingly vulnerable to solar flare ups. Modern people depend on a network of interconnected high-tech systems for the basics of daily life. Smart power grids, GPS navigation, air travel, financial services, emergency radio communications—they can all be knocked out by intense solar activity. 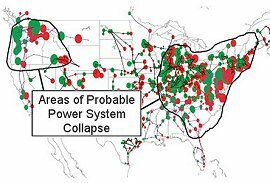 According to a 2008 study by the National Academy of Sciences, a century-class solar storm could cause twenty times more economic damage than Hurricane Katrina. "Understanding solar variability is crucial," says space scientist Judith Lean of the Naval Research Lab in Washington DC. "Our modern way of life depends upon it." Enter the Solar Dynamics Observatory—"SDO" for short—slated to launch on Feb. 9, 2010, from the Kennedy Space Center in Florida. 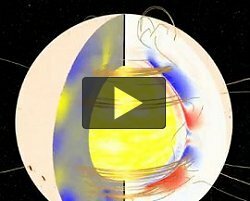 SDO is designed to probe solar variability unlike any other mission in NASA history. It will observe the sun faster, deeper, and in greater detail than previous observatories, breaking barriers of time-scale and clarity that have long blocked progress in solar physics. Guhathakurta believes that "SDO is going to revolutionize our view of the sun." The revolution begins with high-speed photography. SDO will record IMAX-quality images of the sun every 10 seconds using a bank of multi-wavelength telescopes called the Atmospheric Imaging Assembly (AIA). For comparison, previous observatories have taken pictures at best every few minutes with resolutions akin to what you see on the web, not at a movie theatre. Researchers believe that SDO's rapid-fire cadence could have the same transformative effect on solar physics that the invention of high-speed photography had on many sciences in the 19th century. SDO doesn't stop at the stellar surface. SDO's Helioseismic Magnetic Imager (HMI) can actually look inside the sun at the solar dynamo itself. The solar dynamo is a network of deep plasma currents that generates the sun's tangled and sometimes explosive magnetic field. It regulates all forms of solar activity from the lightning-fast eruptions of solar flares to the slow decadal undulations of the sunspot cycle. 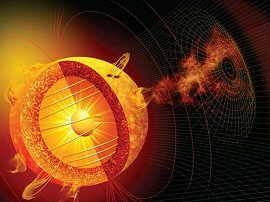 Right: An artist's concept of the solar dynamo. Movie #1, #2, #3. "Understanding the inner workings of the solar dynamo has long been a 'holy grail' of solar physics," says Dean Pesnell of the Goddard Space Flight Center in Greenbelt, Maryland. "HMI could finally deliver this to us." The dynamo is hidden from view by about 140,000 miles of overlying hot gas. SDO penetrates the veil using a technique familiar to geologists—seismology. Just as geologists probe Earth's interior using waves generated by earthquakes, solar physicists can probe the sun's interior using acoustic waves generated by the sun's own boiling turbulence. HMI detects the waves, which researchers on Earth can transform into fairly clear pictures. "It's a little like taking an ultrasound of a pregnant mother," Pesnell explains. "We can see 'the baby' right through the skin." Astronomers were once so convinced of the sun's constancy, they called the irradiance of the sun "the solar constant," and they set out to measure it as they would any constant of Nature. By definition, the solar constant is the amount of solar energy deposited at the top of Earth's atmosphere in units of watts per meter-squared. All wavelengths of radiation are included—radio, infrared, visible light, ultraviolet, x-rays and so on. The approximate value of the solar constant is 1361 W/m2. Clouds, atmospheric absorption and other factors complicate measurements from Earth's surface, so NASA has taken the measuring devices to space. Today, VIRGO, ACRIM and SORCE are making measurements with precisions approaching 10 parts per million per year. Future instruments scheduled for flight on NASA's Glory and NOAA's NPOESS spacecraft aim for even higher precisions. "'Solar constant' is an oxymoron," says Judith Lean of the Naval Research Lab. "Satellite data show that the sun's total irradiance rises and falls with the sunspot cycle by a significant amount." Right: Measurements from the SORCE mission indicate that the variability of total solar irradiance has decreased over the past six years. At solar maximum, the sun is about 0.1% brighter than it is at solar minimum. That may not sound like much, but consider the following: A 0.1% change in 1361 W/m2 equals 1.4 Watts/m2. Averaging this number over the spherical Earth and correcting for Earth's reflectivity yields 0.24 Watts for every square meter of our planet. "Add it all up and you get a lot of energy," says Lean. "How this might affect weather and climate is a matter of—at times passionate—debate." 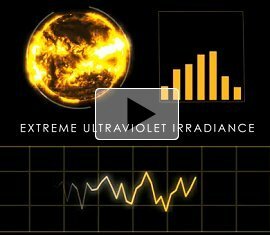 Because SDO specializes in extreme ultraviolet wavelengths, it won't be making direct measurements of the total solar irradiance, which requires sensitivity across the entire electromagnetic spectrum. Nevertheless, a combination of data from SDO and other spacecraft could shed new light on this important topic—and perhaps reveal other oxymorons as well. Finally – and of most immediate relevance for Earth--SDO will observe the sun at wavelengths where the sun is most variable, the extreme ultraviolet (EUV). EUV photons are high-energy cousins of regular UV rays that cause sunburns. Fortunately, our atmosphere blocks solar EUV; otherwise a day at the beach could be fatal. In space, solar EUV emission is easy to detect and arguably the most sensitive indicator of solar activity. "If human eyes could see EUV wavelengths, no one would doubt that the sun is a variable star," says Tom Woods of the University of Colorado in Boulder. During a solar flare, the sun's extreme ultraviolet output can vary by factors of hundreds to thousands in a matter of seconds. Surges of EUV photons heat Earth's upper atmosphere, causing the atmosphere to "puff up" and drag down low-orbiting satellites. EUV rays also break apart atoms and molecules, creating a layer of ions in the upper atmosphere that can severely disturb radio signals. According to Judith Lean, "EUV controls Earth's environment throughout the entire atmosphere above about 100 km." "EUV is where the action is," agrees Woods. Woods expects EVE to reveal how fast the sun can change—"we really don't know," he points out—and to surprise astronomers with the size of the outbursts. EVE, AIA, HMI. For the next five years, the Solar Dynamics Observatory will use these instruments to redefine our star and its potential for variability. What unorthodox ideas will they beam back? Old teachings beware!